It’s true: a lot of men can’t be bothered to dress up for weddings or funerals. I see guys in cargo shorts and Hawaiian shirts at weddings and even their Aunt Mabel’s funeral! What gives? Maybe it’s because they simply don’t know how to tie a tie! 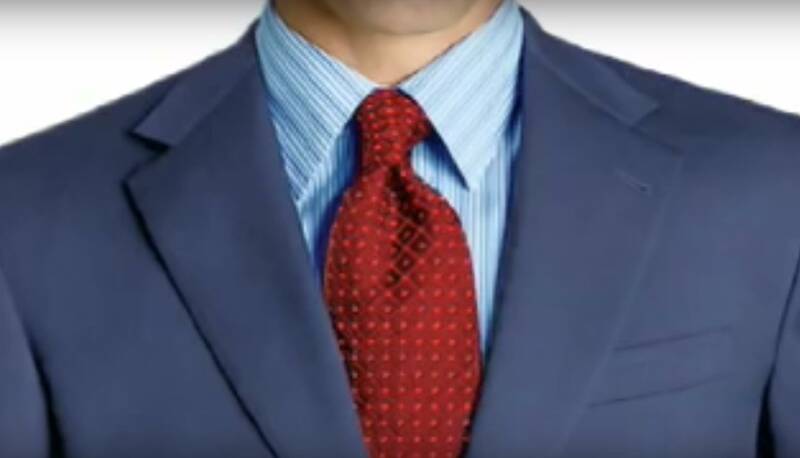 Queen City DJs provides a simple tutorial on how to tie a tie in the handy video below. Don’t be embarrassed if you never mastered the art. You’re not alone, but it’s not hard, especially with the assist of this video. Watch it. Practice. You’ll have it mastered by the third knot! No matter what anyone says, a man wearing a tie is an impressive site. Football greats, Peyton and Eli Manning wear ties talking to each other on the phone! If it’s good enough for a couple of guys with four Super Bowl rings between them and a combined net worth of $300 million, isn’t it good enough for you? And here’s the deal, you don’t have to be able to throw a football sixty yards to look like a hall of famer in a tie! Basketball great, Michael Jordan, wears a tie just walking into Starbucks! If it’s good enough for a guy with six NBA titles and a net worth of more than one billion (with a B) dollars, isn’t it good enough for you? Don’t worry if you can’t slam dunk a basketball, your coolness factor will skyrocket if you simply dress like Mike! Speaking of cool, Zac Efron wears a tie with sun glasses just to look cool! Now if a Hollywood heart throb and star of High School Musical flits about town in broad daylight wearing a tie, well, maybe you should sit up and take notice! If the only thing holding you back is lack of confidence on how to tie a tie, stop what you’re doing right now. Invest 107 seconds and watch the video above. Queen City DJs doesn’t suggest that a guy can’t knock around in a t-shirt and a ball cap with the bill facing backward. But there is a time and a place for a suit, don’t you think? For example, if you get a wedding invitation that says formal or semi-formal, you’ll need to wear a coat and tie. If you’re planning a wedding and you want to go the formal or semi-formal route, I encourage you to share this blogpost with your friends who may need a refresher course on how to tie a tie! Don’t forget that we offer helpful wedding planning tools right here on our website. If you found this blogpost helpful, please share it. Thank-you. 10 ugliest celebrity wedding dresses EVER! Would you like to have a celebrity wedding? Think twice about that. Just because celebrities have money doesn’t mean that they have any taste. 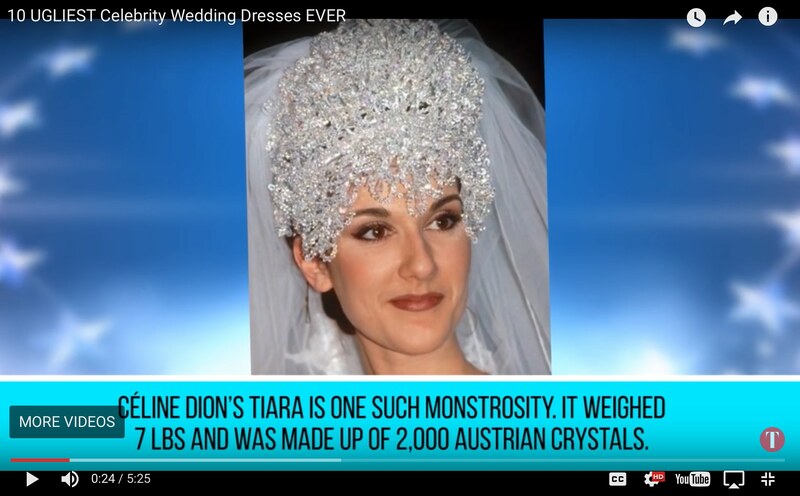 As evidence, just watch the video above which showcases the 10 ugliest celebrity wedding dresses EVER! The typical bride has to deal with reality, a limited budget. Here’s the good news. You can celebrate like a celebrity without spending buckets of money. In fact, you’ve probably got more taste than a whole lot of celebrities. No where is your taste more on display than with the entertainment. Entertainment makes the event. We can taylor the entertainment to suit your personality, your sense of style, and your taste. And packages can be customized to fit your budget. Forget about a celebrity wedding! When you think about it, weddings are really about families and friends who love you and want to share in your celebration. There’s no need to try to impress people who really care about you with a wedding dress you can’t afford. Instead, throw a great party you CAN afford, and entertainment makes the party. Forget about a celebrity wedding. Make your celebration distinctly you with customized entertainment from Queen City DJs. Check out our wedding planning tools to get started now.